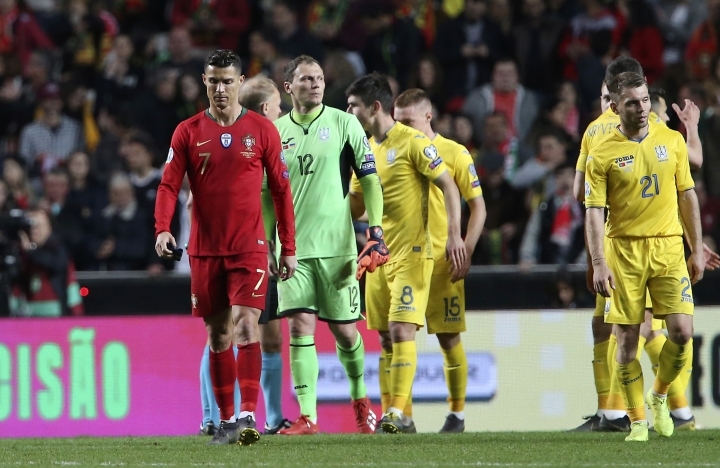 LISBON, Portugal — Cristiano Ronaldo's return wasn't enough to give title-holder Portugal more than a 0-0 home draw against Ukraine in qualifying for the 2020 European Championship on Friday. 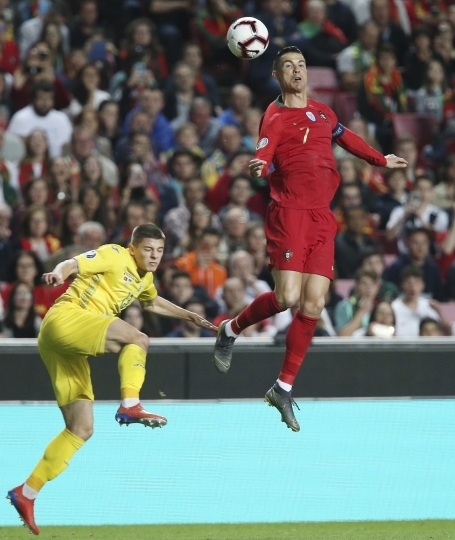 In his first international since the 2018 World Cup, Ronaldo threatened in attack but failed to break through Ukraine's solid defense at the Stadium of Light, with goalkeeper Andriy Pyatov making a few big saves to keep the hosts at bay. 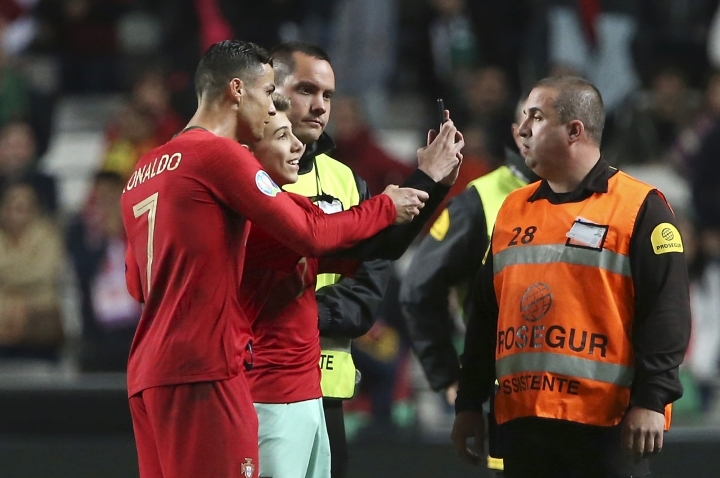 Portugal coach Fernando Santos said: "We had our chances and deserved to win." 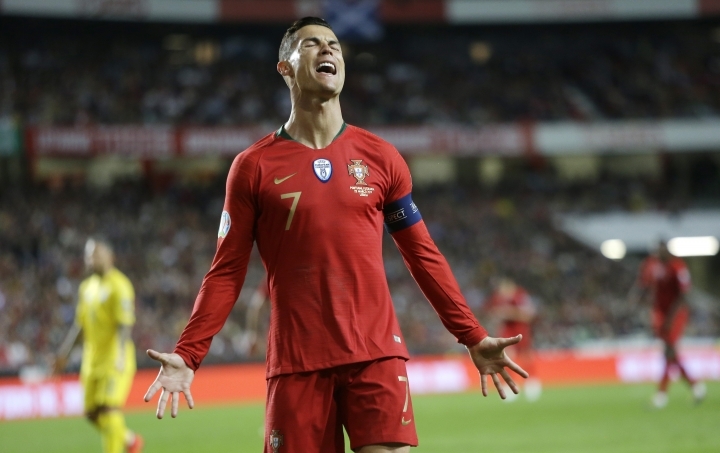 Ronaldo hadn't played for Portugal since its elimination by Uruguay in the round of 16 at the World Cup in Russia. 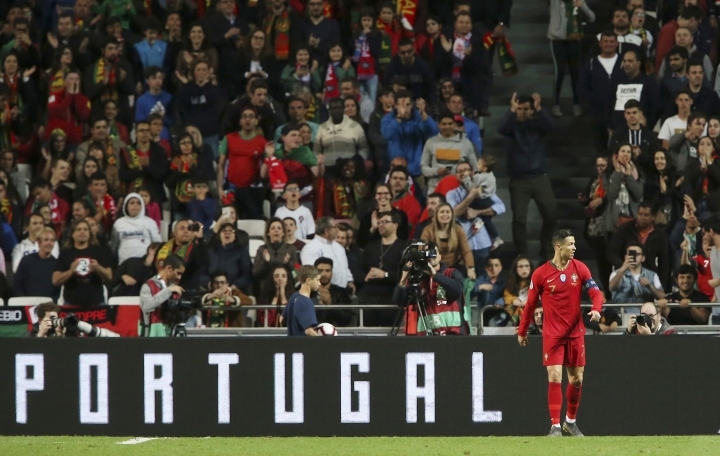 The home team's first real chance on Friday came when William Carvalho's goal was disallowed for offside. 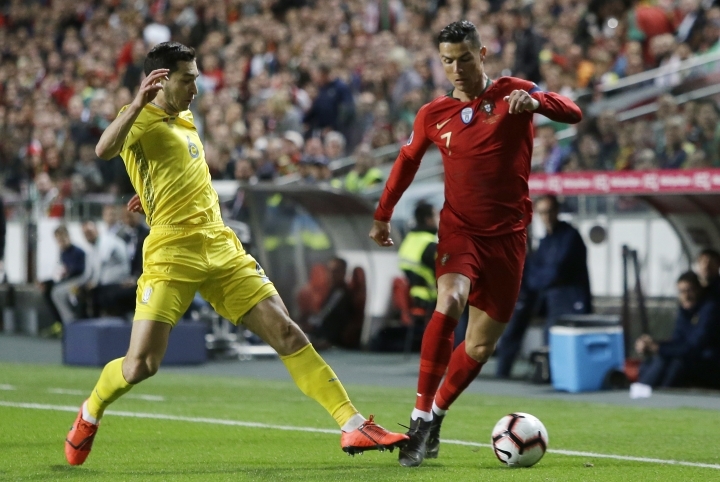 Ronaldo's first opportunity was in the 22nd minute with a low shot from inside the area saved by Pyatov. 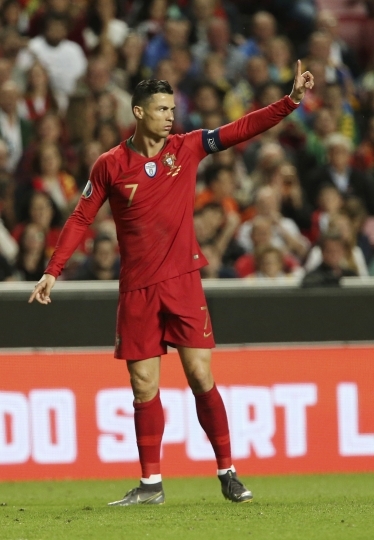 The goalkeeper denied him again five minutes later, diving to his right to deflect his low shot following a run inside the area.